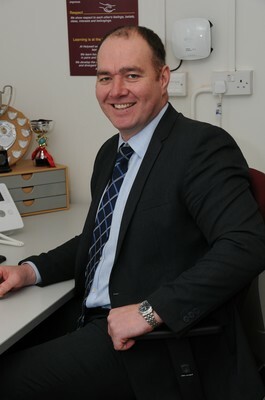 I have been the Headteacher of Holywell since September 2014 and have seen the school go from strength to strength during that time. The attainment results of pupils over this period has significantly increased and all outcomes are now more favourably compared to pupils nationally. We offer a broad, rich, expansive curriculum and pride ourselves on our wider curriculum and extra-curricular provision. The aim of our vision is to prepare pupils for life after Holywell and to be thriving members of a democratic British society. We are a large primary school who will be fully 3-form entry by September 2018. We have over 500 pupils in school. We also have a Nursery who offer part time and wrap-around care for parents who wish for their children to attend for the full day. Please contact the school office if you require more information about our wrap-around care. At Holywell we have a strong focus on the delivery of the core subjects that we believe are the essential foundation pupils need to be able to succeed. The skills gained by pupils throughout the curriculum enables them to communicate effectively in these essential subjects. Our cross curricular approach and enrichment give pupils the wider opportunities and enthusiasm to motive themselves for lifelong learning. Each pupil is an individual in their own right and we strive to give all pupils opportunities through our formal and informal curriculum to succeed. Please have a look at our Special Education Need page that will provide you with information about our Special Education Need offer and other information about special educational needs at Holywell. The Holywell Charter underpins our ethos and we believe we are: A learning community with the spirit to succeed. The 6R’s are at the foundation of our ethos and values and is embedded into our school behaviour management policy. I hope you enjoying exploring our website. We welcome visitors to our school and this can arranged by contacting the school office.